The front door on your home is important in the overall perception of your house. A welcoming door will make visitors feel comfortable approaching your residence. On the other hand, a door that has fallen into a state of disrepair can reduce your home curb appeal easily. To remedy this, you will want to contact the right company for door installation in Naperville. To know when it is time to invest in this service you have to know what signs to look for in a damaged door. First, start with the obvious signs. If there are visible marks like scratches on your door from physical impacts then it is definitely a good idea to explore your options at a door and window store. You might also want to take note of whether or not our door looks weathered from the elements or faded from constant exposure to sunlight. These might seem like small cosmetic issues but they can play a big part in how your home is viewed. Once you have assessed the scuffs and dents on your door you will want to look into door installation in Naperville. Aesthetic issues might be more obvious to the eye but problems with functionality are equally as important. If the hinges on your door have worn away or the frame is busted then you will want to act fast to have repairs done. A door that is structurally unsound can be inviting to potential robbers as it does not make for much of a barricade. Your door is there for style and for substance so be sure to take action once you have discovered that your door is no longer closing the way that it is supposed to. Paying attention to the warning signs can help you to spot trouble early. 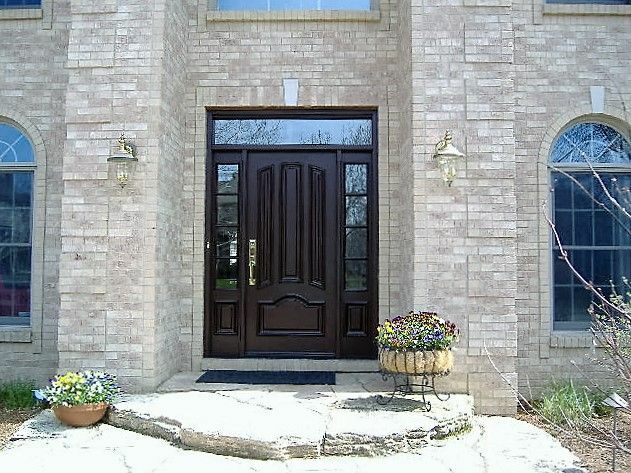 React fast by contacting the right professionals for door installation in Naperville.